Recently neurologist Dr. David Perlmutter has brought attention from the popular media on how diet affects brain health. His book Grain Brain highlighted the connection between excessive consumption of processed carbohydrates and neurodegenerative diseases. More and more we see the sugar, (carbohydrates) obesity, and disease connection. A calorie is not a calorie, and the bad calories just aren't bad because they're empty. They're bad because in excessive levels, they're toxic. Not only to our bodies but also to our brains. Insulin tells our body (body fat, liver, and muscles) to absorb sugar, thereby deceasing the sugar in our blood. Type 1 diabetes happens when our pancreas can no longer produce insulin, making controlling blood sugar impossible. Type 2 diabetes happens when we become insulin resistant, our bodies no longer responds to insulin the way it should. We need more and more insulin and we need a quick place to dump the sugar; fat cells being the quickest dumping place. This is the link to obesity. When we dump it in the liver and belly area is when we get the dangerous visceral fat. When we can't manage blood sugar, the cells of our bodies get damaged and can't function properly. If not properly managed, we eventually die. People with type 2 diabetes are two to three times more likely to develop Alzheimer's than the general population. We knew insulin was made in the pancreas but now we understand that our brains also produce insulin. Researchers discovered that insulin and insulin-like growth factor levels in the brains of Alzheimer's patients were much lower than normal. Levels being the lowest in the parts of the brain most affected by Alzheimer's. Insulin in the brain helps metabolize glucose, regulate brain signals, affects brain growth, neuroplasticity, and proper function. Much like the body, when there's insulin resistance, our cells get damaged, our brain loses function, and eventually we die. It's diabetes of the brain. Type 2 diabetes itself has been shown to shrink the brain. It basically makes the brain age much faster than normal, which further cements the brain/diabetes connection. Scientists are moving to reclassify Alzheimer's as a metabolic disease: type 3 diabetes. Currently about 35 million people suffer from Alzheimer's disease worldwide; and at current projections it'll reach 100 million by 2050. As diabetes rises, so does Alzheimer's. In the US alone, type 2 diabetes has tripled in the last 30 years. The diet that causes type 2 diabetes not only contributes to obesity, but other than genetics, may be the other big player in Alzheimer's. As type 2 diabetes rises, so do the cases of Alzheimer's. This we know for certain. The exponential rise of type 2 diabetes only foreshadows the coming mental health suffering that faces the world. If you think you're brain is safe because you don't have diabetes, think again. Even without diabetes, excess sugar has been shown to be harmful to the brain. The urgency for people to re-think their diet has been mounting. Instead of focusing on calories, we need to focus on the type of calories. 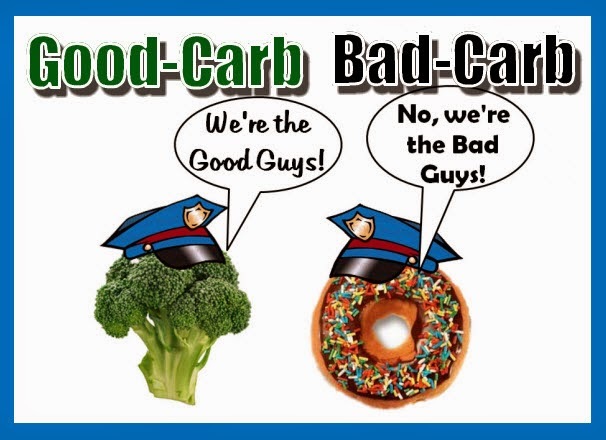 The majority of "healthy" diets focus on low fat, low calorie, low protein, and high carbohydrates. To reverse obesity and improve public health, we need to reverse some of our ideas on what a healthy diet is. Lowering fat and protein has only increased sugar consumption. Focusing only on calories increased our intake of chemically processed engineered foods. Don't change only for your body, do it for your brain. You know... your money maker, the thing you spent thousands of dollars on to finish school, the thing you use at work, the thing that makes sure you have value, the thing that tells you when you're happy?